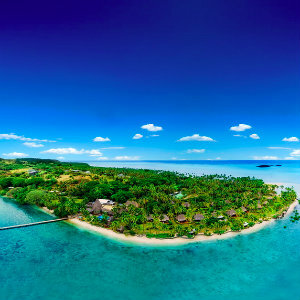 Fiji Airways just announced the “Great Companion Getaway,” a wildly amazing two-for-one airfare deal from Australia, New Zealand, and the U.S. It’s the perfect time to book that trip to one of the world’s most stunning destinations. The Great Companion Getaway deal will only be available through Jan. 19, with valid travel dates from January 21st through March 31st. The offer is for selected Fiji Airways flights from Sydney, Brisbane, Adelaide, Melbourne, Auckland, Wellington or Christchurch, and across Los Angeles, San Francisco or Honolulu to Nadi or Suva. Buy an all-inclusive fare for one and take a partner, friend or loved one with you, by just paying the taxes! 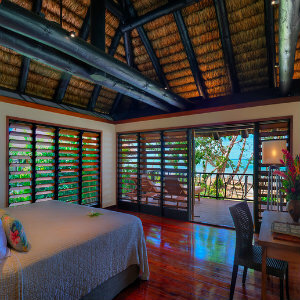 After booking this once in a lifetime flight deal to Fiji, Jean-Michel Cousteau Resort in Savusavu, should be top of your list for incredible accommodations. One of the most renowned vacation destinations in the South Pacific, the resort offers something for everyone, including world-class scuba diving, traditional Fijian storytelling, Fijian healing spa treatments, yoga, rainforest and waterfall hikes, Fijian medicine walks, fishing, paddle boarding, visits to the nearby Fijian village, guided excursions with the resort’s resident marine biologist, visits to a private island, and much more. At Jean-Michel Cousteau Resort, guests can now give back through the resort’s new volunteer program, where guests can participate in an array of hands-on volunteer opportunities that contribute to the local community and environment, including a children’s reading program at the local Fijian school, mangrove planting, endangered giant clam re-population, and much more. What’s more – guests can also become scuba certified in as little as three days with the resort’s award-winning scuba diving team. There is no better place to learn to scuba dive than the spectacular Jean-Michel Cousteau Resort, recognized for providing the best dive sites Fiji has to offer. With access to the world-class Namena reef, the resort offers a variety of dives for novices and experts alike.